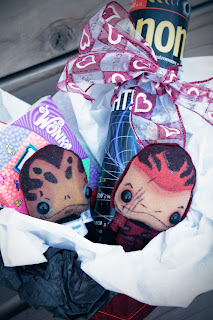 Spooky Pooky Creations: Happy Valentine's Day! Yummm! That is such a thoughtful gift! I bet it was tough to eat Mickey's face :) But so cute!